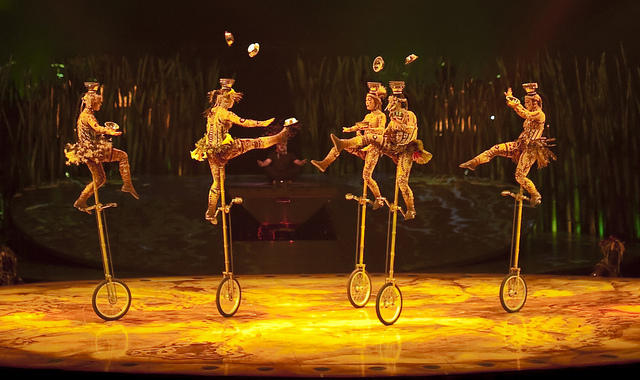 The first time I saw a Cirque de Soleil performance I was blown away. The beauty of it. The gymnastic skill. The use of colors. The silk ropes. A whole new world. The second time I saw them I was in Las Vegas for work and saw a performance of Love, a spectacular enthralling experience built around music by the Beatles. It was so amazing I knew it would be worth a second trip to Las Vegas (a city I don't enjoy) just to see it again. These circus performers were different than those in the traditional circus. And it brought to mind the Greenhouse movement in the field of care for frail elders. The Greenhouses look unlike a traditional nursing home. They are managed by a Shabazim, a person whose role breaks all the traditions of the older care models--by creating a small homelike setting with a "homemaker" who provides care and connection. As you reflect on this poem, consider these questions: Where in your own life has something new and vibrant replaced something less life-giving? Think of a time when you were a bit troubled and couldn’t see a way to change but, over time something new emerged. What is our role in this process? With a note of appreciation to the Montreal-based Cirque du Soleil, green architect Bill McDonough, ecological economist Herman Daly, Karl-Henrik Robert of Sweden's Natural Step, Betsy Taylor of the Center for a New American Dream, and legions of leaders everywhere who are helping us leave behind destructive practices by helping us discover a way of life more satisfying and beautiful that the one to which we have stubbornly and fearfully clung.